You are here: Home / TRAVEL / Travel Insurance: Does it Pay Off? Travel Insurance: Does it Pay Off? 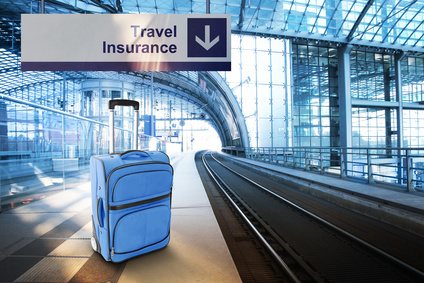 Whenever you’re thinking of travelling outside the country, it’s best to get travel insurance. There are a lot of pros of having your holidays abroad insured. If you rely on the EHIC card, it won’t cover some medical conditions and will not get you home either. Having a travel insurance will cover more than medical issues. It will cover any lost baggage, lost money, items that got stolen and many other things. Take it as an emergency care when things go wrong. Let’s say you go hiking and you break a leg, you need to cancel the trip – they’re all accidents, either health or non-health related. Any unexpected event could be covered by choosing the right travel insurance. This, however, doesn’t mean that you have to act foolish. There are some things that you will not be able to cover with the travel insurance. Don’t mistake it as a health insurance. It will cover any emergency, but you will not be able to get a physical or some dental care. Most of the policies will not cover treatment for conditions you already have. If you thought that credit cards are enough protection, you couldn’t be more wrong. Even if you have the best credit card, it will not get you back home, and it will only offer partial coverage for items that got lost or stolen. You will get coverage for medical expenses or trip cancellation, only if the booking was done with that card. Some cards offer such a low coverage limit that you will have to pay the difference. Instead of relying on credit card coverage, you’d better go get a travel insurance. But even before getting a travel insurance, do some research and read what the policies will cover. You might have heard of many unsatisfied reviewers that complain about many things, but their mistake was not reading the fine prints. The Insurance Industry Paid Out £1 Million Per Day to Travelers! Most of the insurances had to cover medical treatments, and looking at how low it costs to get one, it’s only the best decision for those who are all about travelling and making the most out of their time. For only an average of £37 for a policy, you could get a medical claim of £1,300. Mark Shepherd, the Head of Property and also the Assistant Director at the ABI/Association of British Insurers stated that some unlucky travelers could have their holidays turned into nightmares. He admits that the first worry is not to fall ill abroad, as it will cost a fortune to get medical treatment and get sent back home. Following the instructions provided in the policy should be the first step when you think of buying one.